The Bleu Out gear is your best bet for a long trip where you need to minimize pack weight and maximize storage. which is apt for activities such as trekking, camping, mountaineering and backpacking. Designed for both men and women, this bag will make traveling a less stressful job for you. 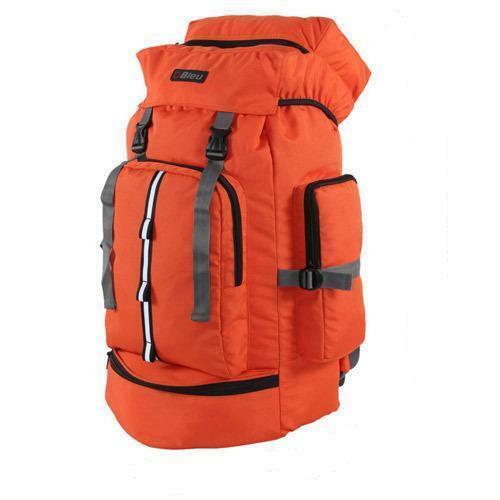 You can enjoy your trip without having to worry about the load you are going to carry around, The Top Loading bag lightweight hiking pack with air circular back system. - Adjustable shoulder straps, Bar Tacked at Stress Points for increased Durability.This bag has five pockets to make sure all your things are kept in an organized manner.Bar tacked on specialized machines; this bag is tough and will last you for a long time.